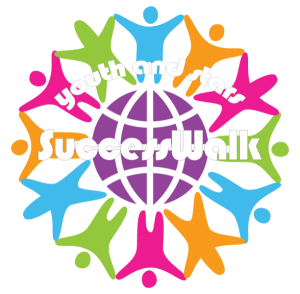 Youth and Stars Success Walk is a mission connecting youth of all ages, cultures and abilities with music and sports celebrities, doctors, teachers, first responders, politicians and community leaders and encouraging conversation between them during a citywide 4K walk. 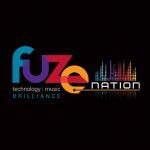 The inaugural event was on September 30, 2017, with an estimated 2,000-3,000 Youth and Stars joining together to walk through downtown Kitchener, raising awareness of career opportunities, developing dialogue for higher education and recruitment, and encouraging expansion of skill sets. Read more about Youth And Stars at youthandstars.com. 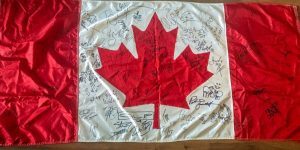 In honour of Gord Downie, Mark Higgins gathered autographs from Bryan Adams, The Tragically Hip, Blue Rodeo, The Arkells, Jann Arden, Counting Crows, The Sheepdogs, Sam Roberts Band, Sarah Harmer, Metric, and more than 40 others for a one-of-a-kind auction to benefit the Gord Downie Fund for Brain Cancer Research at Sunnybrook Health Sciences Centre. The benefit raised $6,700 for the great cause. 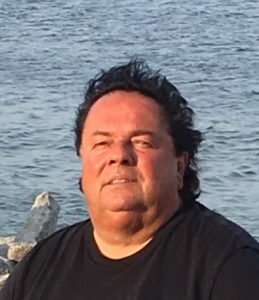 Read more about the fund-raiser and donation. 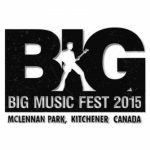 Big Music Fest deemed a success by fans and organizers. Fans have been rocking out to different sounds at McLennan Park all weekend long. Festival president Mark Higgins says in total, around 50,000 people attended. It was one of the most anticipated events in the history of Canadian music. 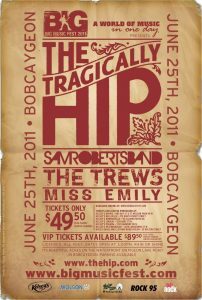 The Tragically Hip, Canada’s most beloved rock band, was headlining a festival concert in Bobcaygeon—the small Ontario town, population 2,500, that inspired one of the group’s most popular and enduring songs. 25,000 fans from across North America and Europe would make the pilgrimage.